Welcome to our genealogy pages. Our search for Hammitt ancestors lead to the accumulation of many different families. Most of the families are related in some fashion. Some are the families of people who played a significant part in our history. Some are families we believe are related, but we have not yet documented their relationship. 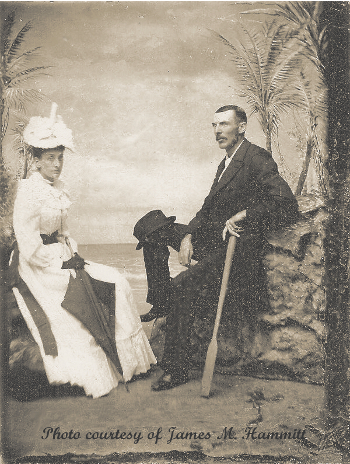 Pictured are Isaac Hammitt and Mary Louise Augustine. Isaac, who was the son of Samuel Hammitt and Jane Simmons, was born about 1791 in New Jersey. Mary Louise Augustine, the daughter of Charles and Mary Augustine, was born about 1794 in Maryland. Our Genealogy section is separate from the Isaac's Ark Blog and HammittRoots Home Page and requires a separate password. We currently have more than 25,000 individuals entered into the database, there are still more names and identities under review. When registering please include how you are related or your interest in the family. Just have a question or a quick comment? You can reach us at admin@hammittroots.com or use the contact us link below. Thank You.